I’ve mentioned before that some states have a ban on dashboard or windshield mounts. Not everyone has to follow that rule, however. 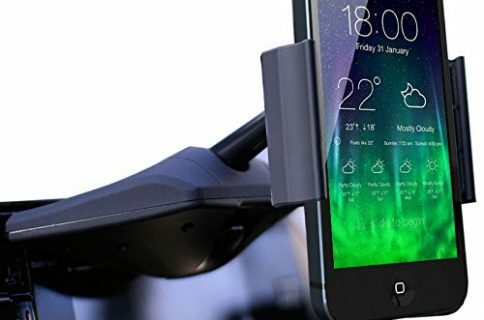 Frankly, it is the most convenient way to display your device so it is accessible while driving. 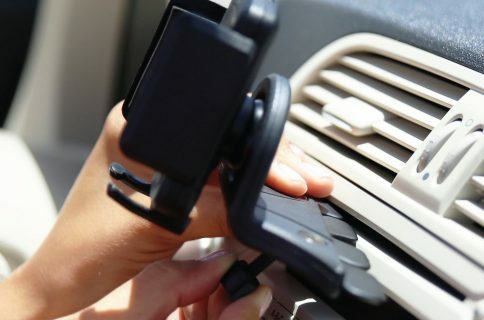 The iOttie Easy Touch 2 is a dashboard/windshield mount that sticks to your car like superglue, but is removable, so you can take down whenever you feel like it. The gadget features a one-touch mounting system so you can lock in or release your device with just a push. First, open the side grips as wide as possible by pushing in the two side buttons. Then, place your device on the mount. 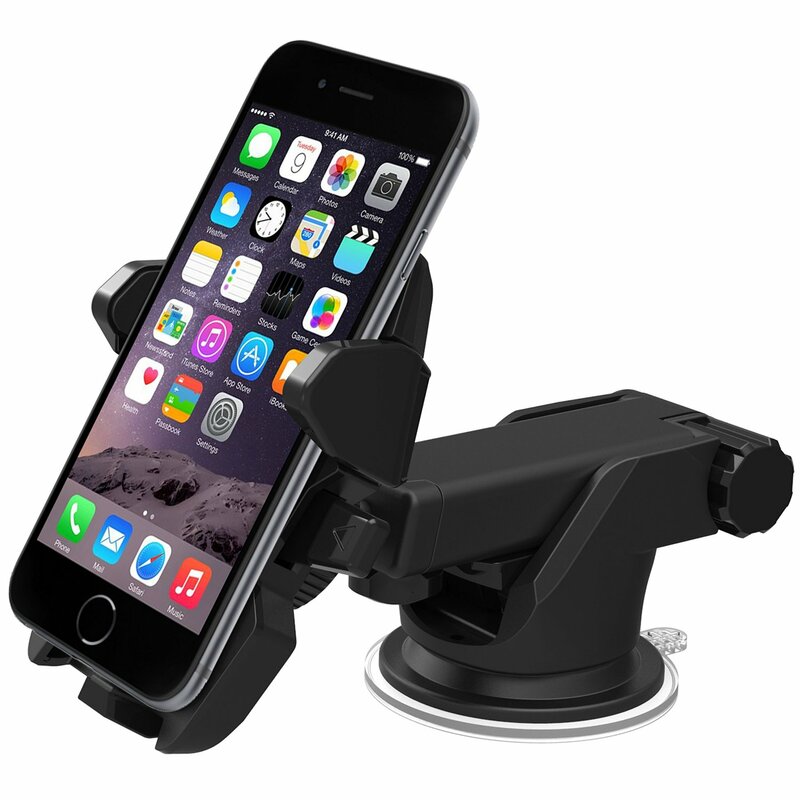 The One Touch trigger on the mount’s face will release the side grips so they grab onto your iPhone securely. The suction cup has a two-step locking leaver so you can mount it to a variety of surfaces, including textured dashboards. The first locking position is for flat, smooth surfaces, like a windshield. The second is for curved, textured surfaces that need a bit more gripping power. The bottom foot, which helps secure your device in place, is adjustable from left to right, so you can move it out of the way to charge your iPhone 6 or connect the audio jack. It also features a telescoping arm so you can extend or retract from four to 6.5 inches. You can move the arm up or down for a wide variety of positioning options. 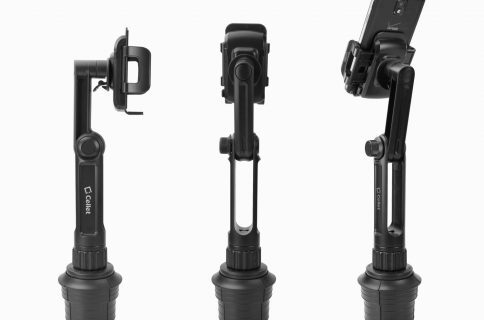 The mount sits on a ball joint so you can rotate your device a number of different angles. The iOttie Easy One Touch 2 is available on Amazon for $25. The mount stretches from two to 3.2-inches wide, so it is universally available for the iPhone 6 and iPhone 6 Plus, or a number of devices that fit within that range, like the Galaxy S6 or Nexus 5.